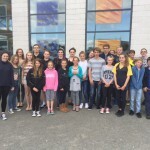 Sixteen Isle of Wight swimmers attended the Hampshire Schools Championships at Portsmouth’s Mountbatten Centre on 26th June where they gained Seven Championship titles, 14 medals and 30 new Personal Best Performances (PB). Leading the way was Christ the King’s Abigail Lacey who took 3 Hampshire Schools titles and five new PB’s in the Junior section winning the 200m Individual Medley in 2 min 27.20 sec, 100m Breaststroke in 1 min 17.61 sec and the 100m Butterfly in 1 min 8.04 sec. This was followed by silver medals in the 100m Freestyle in 1 min 00.95 sec and 200m Freestyle in 2 min 09.63 sec. Also from Christ the King and taking his first ever county titles was Alex Stewart who won senior titles in the 400m Freestyle in a new PB time of 4 min 18.82 sec and the 200m Individual Medley in 2 min 19.56 sec, Alex also gained a new PB in the 200m Freestyle event. Eric Tasca flew the flag for Ryde School in gaining the Intermediate 100m Breaststroke title in a new Personal best time of 1 min 12.70 sec and followed this with a new personal best in the 200m breaststroke event with a silver medal in 2 min 41.30 sec. Eric also gained a new personal best and a huge swimming milestone when he broke the 1 min barrier for the 100m Freestyle event recording 59.73 sec. Brockenhurst College’s Jake Williams was another county champion when he won the senior 200m Breaststroke event in 2 min 43.91 sec and also followed this with Bronze in the 100m Butterfly in 1 min 00.93 sec and Bronze in the 100m Backstroke in a time of 1min 01.53 sec. Two bronze medals were also gained by Megan King of Sandown Bay Academy in the intermediate section with a new PB in the 400 Individual Medley in a time of 5 min 25.43 sec and the 100m Backstroke in 1 min 09.67 sec. The event produced some fantastic PB times for all swimmers; Christ the King’s Elysia Blacklock, Zac Lacey and Caitlin Townshend produced 3 each as did Cowes Enterprise’s Jess Browne. There were 2 each for Carisbrooke College’s Katie Taylor and Christ the King’s Lelayna Blacklock and Jacob Jenner along with 1 new PB for Molly Fennimore of Carisbrooke College and Ben Curliss of Christ the King. The other competitors that attended were Lucy Miller of Cowes Enterprise and Eleanor King of Christ the King College. 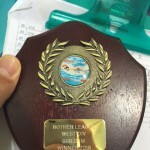 Most of the competitors will now turn their attentions to the joint club championships of West Wight and Seaclose swimming clubs which take place over the next month. Successful Portsmouth Long Course Sprint Meet for Seaclose. 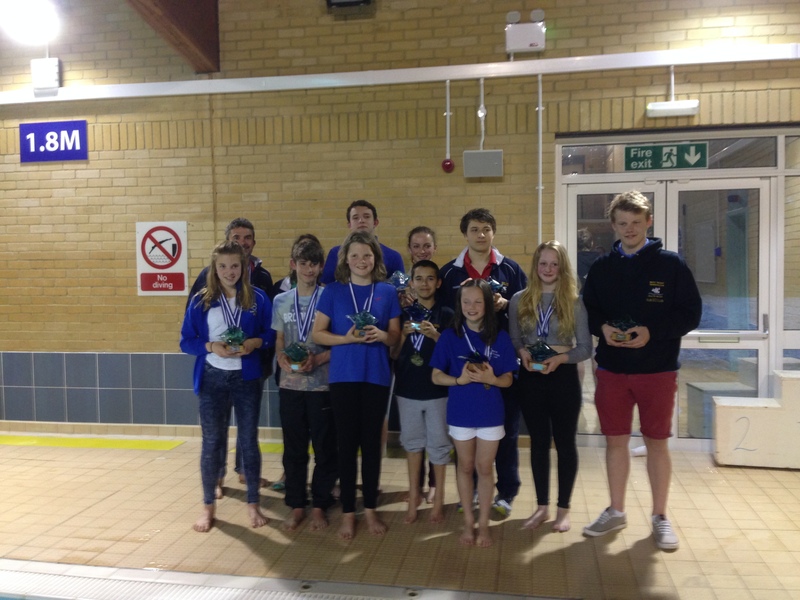 11 Swimmers across the squads competed at the Portsmouth Northsea Long Course Sprint Meet on Sunday 8th May. Led by the coaches Val Gard and Ian Groves every swimmer who attended achieved a medal or a personal best from their events with four medals and 19 personal bests across the team. Leading the way with a Gold medal was Megan King fresh from her SE regionals success, who in the 15 and over age group recorded a time of 28.64 sec when winning the 50m Freestyle event. Also in the same age group was Lelayna Blacklock gaining two medals, a silver in the 100m backstroke in a time of 1 min 16.65 sec and bronze in the 50m backstroke in a time of 35.28 sec. Harvey Stillwell then completed the medal tally with a bronze medal in the boys 14 year age group recording a new personal best time of 35.64 sec in the 50m Butterfly event. Oliver Lacey (10 and under category) produced four new personal bests, his 100m Freestyle being a huge 14 seconds better. Frank Morrison (13 years) and Lottie Van der Helstraete (11 years) both recorded three new personal bests, Lottie producing a 7.76 second improvement on her 50m Butterfly time. Mia Stillwell (10 years),Ben Kral (14 years) and Harry Elliott (11 years) all gained two new personal bests with Harry gaining a 7.55 sec improvement in his 50m Butterfly time. Then with one personal best improvement each were Ellie King (15 year and over), Lucy Kral (12 years) and Ethan Squibb (15 years and over). Swimmers will now turn their attentions to the Hampshire Schools Championship in June followed by the Hampshire Development Meet early July. Although not competing for his club Seaclose at this event, Zac Lacey also attended the Portsmouth Long Course Sprint Meet on Sunday May 8th. Zac was competing as part of the Great Britain squad that will travel to Florence, Italy in July to compete in the Trisomy Games which is the first ever ‘Olympic’ type of event for sports people with Downs Syndrome and will also double up as the World Down Syndrome Swimming Championships. 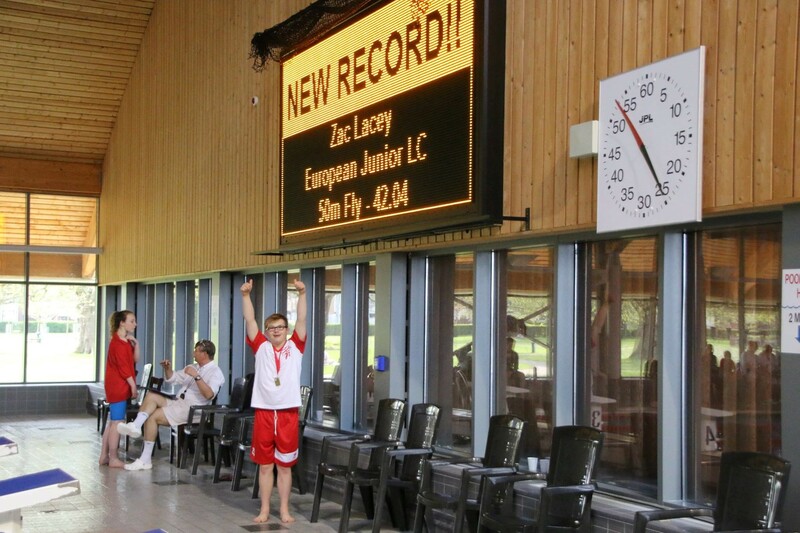 Zac produced a new personal best time of 42.04 sec in the 50m Butterfly event to gain the new record in the Junior (16 and under) category, only missing the World record by 0.07sec. Zac then followed up with another personal best in the 50m Backstroke event with a time of 48.44 sec to set his second Long course record of the event. Zac is now into the final stages of his preparations for the World Championships and has been attending many swim camps and galas on the mainland and being selected onto the Isle of Wight Talented Athlete Programme has been a great support with all the help this can provide. Zac is really grateful for the access to the support from the One card and Wightlink. Zac has also been given overwhelmed by the generosity and financial support for his GB training and trip to Florence. A big big thank you to the Cadburys Trust, Daisie Rich Trust, Ryde Rowing Club 100 Club, Ryde Rotary Club, Ryde Round Table, Steve Draper Decorating Services, Paul and Sharon Southwell, Linda and Kevin Thompson, Vectensian Lodge 7852 and St Boniface Lodge 8790. Seaclose Swimmers continued with the busy swimming calendar for the Easter break with Megan King at the Guildford Spring Level 1 Meet and Lottie van der Helstraete and Zac Lacey attending the Level 3 Littlehampton Easter Meet. Megan swam five events at the three day event and achieved three personal bests and a silver and two bronze medals in the 15 years age category. Megan recorded a time of 32.74 sec in the 50m backstroke event to gain her silver medal and a time of 29.08 sec to achieve her bronze medal in the 50m freestyle event along with a time a personal best and time of 1.11.49 sec to gain bronze in the 100m backstroke. Megan also achieved personal bests in the 50m Butterfly and 100m Freestyle events and now has 4 Qualifying event times in the South East Regional Championships in May. Whilst no medals were gained Lottie van der Helstraete gained a very impressive six new personal bests from six events at the Littlehampton Level 3 Easter Meet. Lottie’s best event was the 100m Butterfly where she gained fourth place in the 11 years age category beating her previous best time by 7.40 secs to record 1.41.14 sec. 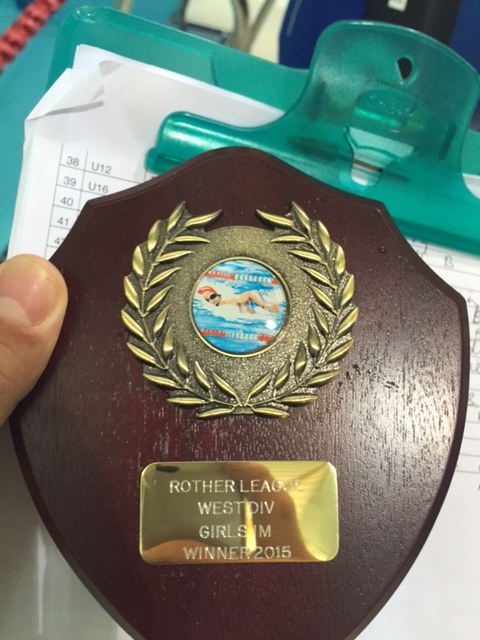 Lottie’s other personal bests were in the 50m Butterfly, 50m Freestyle, 100m Breaststroke, 100m Freestyle and the 50m Breaststoke. Also at Littlehampton was Zac Lacey who competed in the 15 years age category and gained three new personal bests from his four events with his best finish a fifth place in the 200m freestyle event where he bettered his personal best by 16.61 secs to record a time of 3 min 21.92 sec. The swimmers are now looking forward to the Isle of Wight Swimming Championships which will take place over the weekend of 23rd and 24th April at Medina Leisure Centre with the doors opening at 5.30pm on each day. 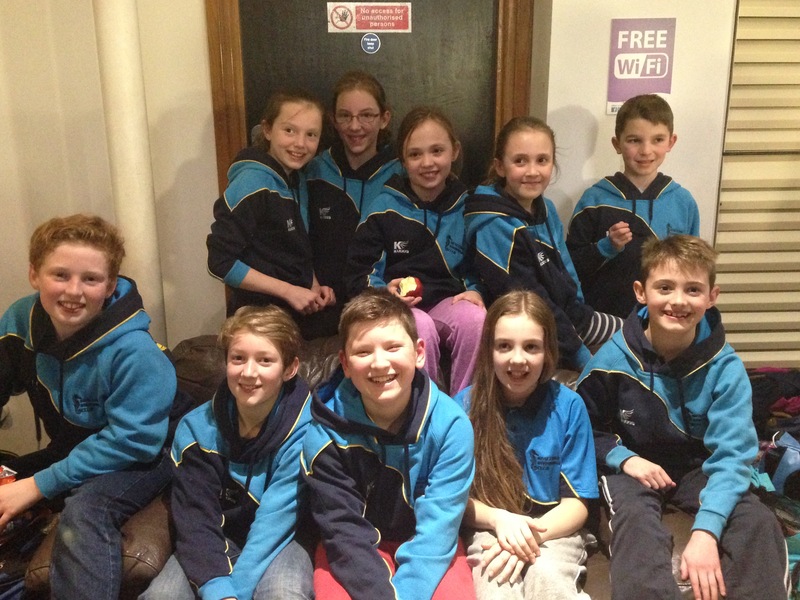 Ten younger members (9-11yrs) from Seaclose SC were invited to take part on Saturday evening in the Invitational Junior Meet, along with 9 other swimming clubs from around the South Coast region at the Pool in the Park in Woking. For some of the 9yr olds in particular, this was their first experience in swimming at a mainland open meet and their commitment in training definitely paid off, despite such a long journey and extremely late return! They were able to compete in three events plus a 200m relay at the end, with the 11yr olds also doing the 100m Individual Medley. Their nerves didn’t show at all and an amazing 28 personal best swims were achieved across the swimmers and five swimmers, George Hayward (9), Oliver Lacey (9), Joshua Sunnocks (10), Mia Stillwell(10) and Lottie-Rose Van der Helstraete(11) all came within the top 8 overall swimmers in their relevant age categories and obtained merit awards for their performances. Gavin Muncaster, the Seaclose SC coach who not only coaches these children regularly but accompanied the team to this gala was full of praise and encouragement for these youngsters and hopes for a bright swimming future for them all……. 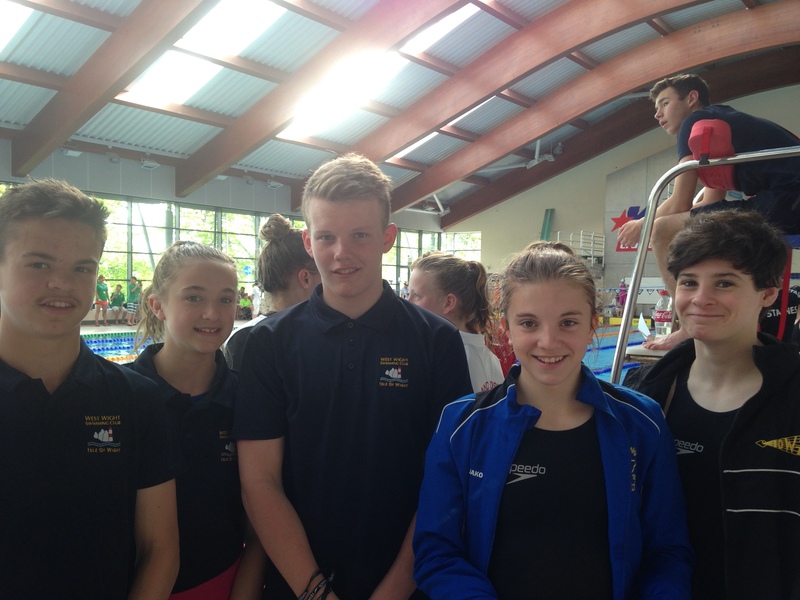 Six Seaclose swimmers attended the City of Southampton Swimming Club Level 2 meet on 13/03/2016 as the swimmers looked to gain qualifying times for the South East Regional Championships in May. Seaclose swimmers performed excellently on the day and gained a total of ten medals at the event. 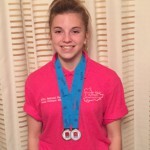 Amber Backhouse was the most successful swimmer on the day in the 15 yrs age group collecting two gold medals and one silver in her four events. 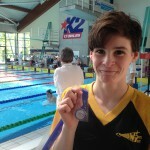 Amber won the 50m Breaststroke event in a time of 38.19 sec and the 100m breaststroke event in a time of 1 min 26.12 sec. Alex Stewart (16 yrs and over) was also a gold medal winner on the day with a new personal best in the 200M individual medley in a time of 2 min 19.10 sec. 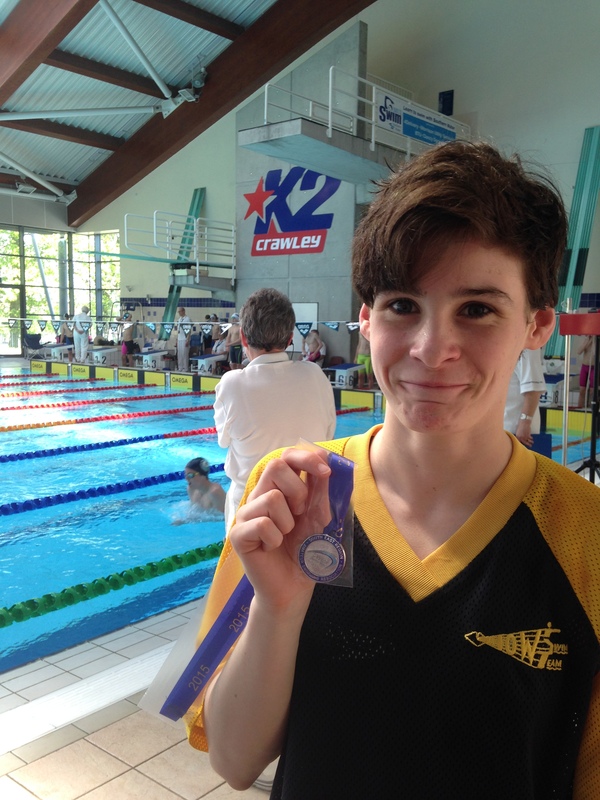 Alex also gained a silver in the 50m Freestyle and a bronze in the 50m Backstroke event. Also in the medals was Mia Stillwell (11 years age group) who won silver in the 400m Freestyle event (6 min 12.41 sec) in a new personal best time and a Bronze in the 200m Individual Medley (3 min 22.01 sec) and also achieved a new personal best in the 200m Freestyle event. Lelayna Blacklock (16 years age group) completed the medal haul with a bronze in the 200m Individual medley in a new personal best time of 2 min 41.12 sec. 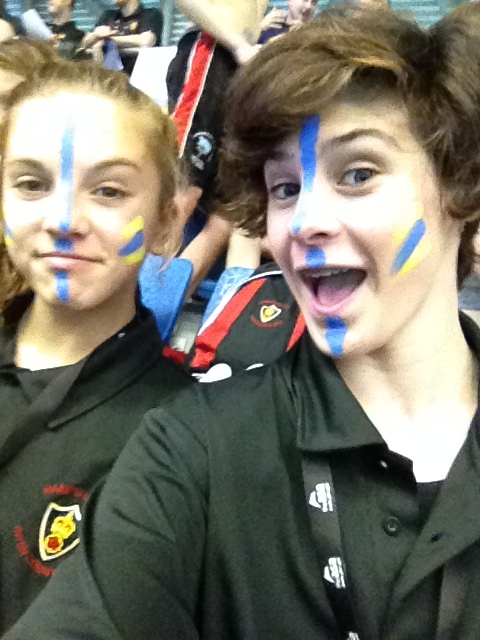 The other two swimmers from Seaclose were Harvey Stillwell who produced four new personal bests in his four events and Grace Bolland who gained a new personal best in the 400m Freestyle event in a time of 5 min 46.63 sec. eason began it The youngest gold medallists of the weekend were in the 25m Freestyle where Sophia Elliott took the girls title in a time of 30.89 sec and Oliver Lacey took the boys title in a time of 22.95 sec. 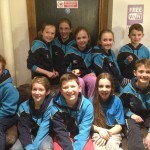 The swimmers now turn their attentions to the Hampshire County Championships which take place over three weekends in March and where a number of Isle of Wight Swimmers will be looking to challenge for county titles. Whilst the Sprints were taking place four Isle of Wight swimmers, who had gained qualification, took part in the South Zonal Swimming Championships at the Olympic Pool in Stratford. IW Swim Team members Abigail Lacey (100m and 200m Backstroke), Megan King (50m Freestyle), Alex Stewart (200m Backstroke) and West Wight Swimmer Jake Williams (50m Backstroke) all gained from the experience at the world class venue. Megan King produced a new Personal Best and the other swimmers were all very close to their personal best times as they competed against the South West, South East and London Regions top swimmers. The last weekend of the Hampshire County swimming championships took place at Portsmouth’s Mountbatten Centre with the Junior and Open events. 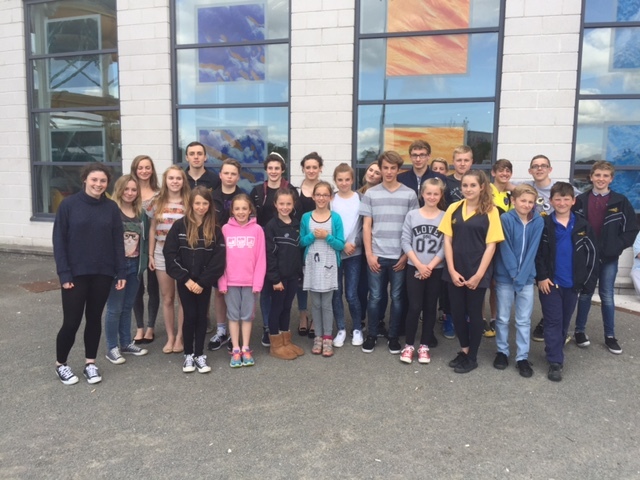 Seaclose Swimming Club had a total of nine competitors taking part over the two days. 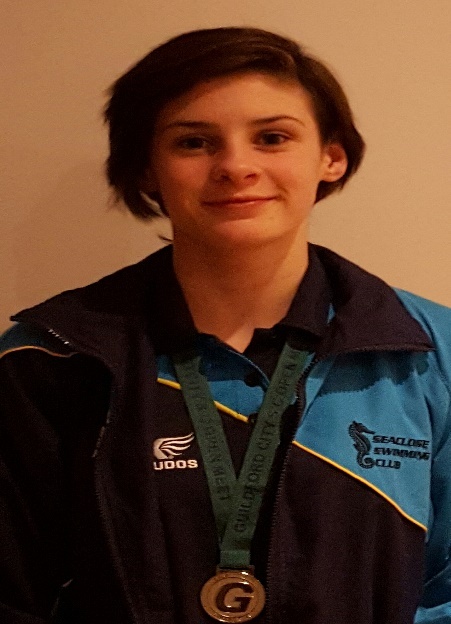 Megan King (15 yrs age group) came away with the five medals from the weekend with silver medals in the Age 15 and Junior 50m backstroke event in a time of 33.03 sec and also bronze medals in the Age 15 and Junior 50m Freestyle event in a time of 29.06 sec. These times also gave Megan qualification for the South East Regional Championships. 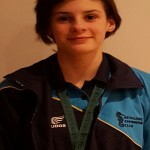 Megan also achieved a bronze in the Age 15, 400m Individual Medley in a time of 5 min 47.90 sec. Also winning a medal and taking her tally to ten medals over the three weekends of the championships was Abigail Lacey (14 yrs age group) who took a bronze medal in the Junior 200m Individual Medley in a time of 2 min 35.85 sec. During the event both Megan and Abi also received a certificate from Hampshire County Swimming Association for being selected to swim for the County earlier in the season at the Inter-County championships. Amber Backhouse (15 yrs age group) had a strong weekend with a 5th place in both the 50m and 100m Breaststroke events and completing the girls line up in the 16 yrs age group was Lelayna Blacklock and Eleanor King. Alex Stewart (16 and over category) was the busiest of the boys over the weekend and although recovering from illness still achieved his best result of 15th in the 50m backstroke event. James Stirling competed in two events and Michael Joyce and Thomas Kral also competed in one event each. The swimmers will now turn their attentions to Open Meets at both Aldershot and Southampton in March. Abi becomes Hampshire Champion for third successive year. Abigail Lacey of Seaclose Swimming Club became the Hampshire ASA County 200m Individual Medley Champion for the third year in a row at the second of three weekends of Championship swimming action. Her time of 2.29.35 sec gave her the title which she also won at age 12 and 13. Abi also topped this off by winning the 50m Breaststroke title in a time of 36.50sec and along with a further seven medals she gained nine medals from a possible 11 events. Abi won silver in the 100m Freestyle and 200m Backstroke and Bronze Medals in the 400m Individual Medley, 400m Freestyle, 50m Fly, 50m Freestyle and 200m Freestyle; there was a fourth in the 50m Backstroke and fifth in the 100m Breaststroke. The times Abi achieved in all her events have also now qualified her for the South East Regional Championships in May. There were only three Isle of Wight swimmers who were swimming this weekend at the final weekend for the Age Group Championships with the others being Ben Curliss of West Wight Swimming Club and Mia Stillwell of Seaclose. Ben had a busy weekend in the age 14 boys and produced five new personal best times throughout the weekend. Ben’s best result was in the 50m Freestyle where he produced a PB time of 28.06 sec to finish fourth in the final and just miss out on a medal. Ben’s other PB’s were 200m Back 2min 33.15 sec (8th), 200m Freestyle 2 min 16.15 sec (9th), 100m Back 1 min 13.14 sec (10th) and 100m Freestyle 1.01.83 sec (5th). This was Mia Stillwells first ever Championship and she showed her potential for the future in her three events in the 10/11 age group with her highlight being the 200 Individual Medley finishing 12th in a new personal best time of 3 min 16.08 sec. Mia also competed in the 50m back and freestyle events. Week 1 of 3 Hampshire County Championships, Portsmouth. Three Competitors for Seaclose SC at the long distance events. 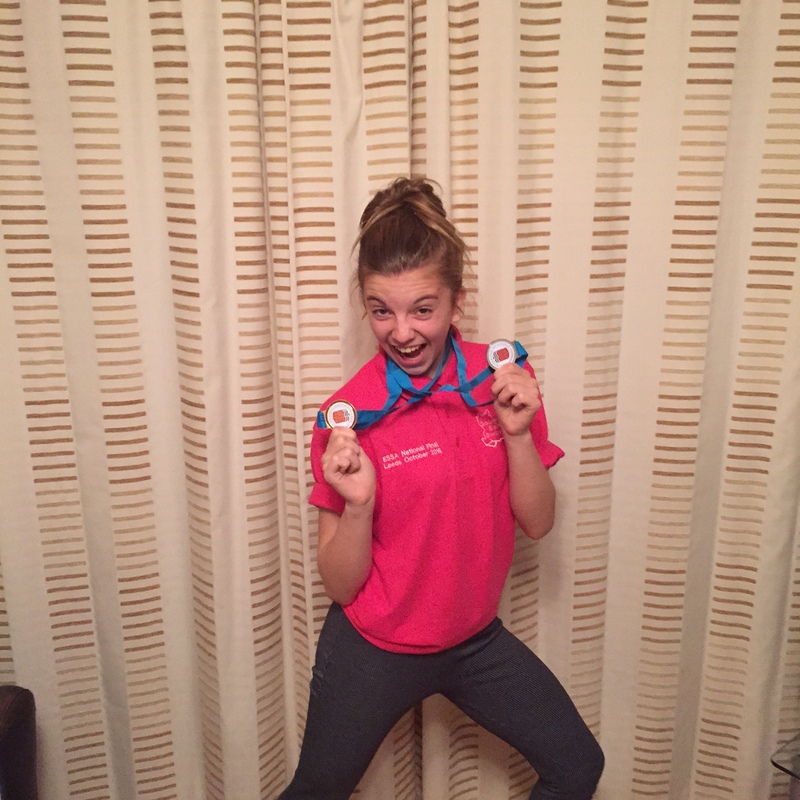 Abi Lacey Bronze medal in the 400m Individual Medley and another bronze in the 400m Freestyle, 14 years age group. Alex Stewart fourth place 1500m Freestyle, 16 and over age group. Lelayna Blacklock 12th place in the 800m Freestyle, 16 years and over age group. Seaclose Swimming Club attended the City of Southampton Swimming Club Level 3 Xmas Meet with a very large team over the weekend of 12th and 13th Dec. The meet produced a very successful weekend for the club and some fantastic swims saw a medal haul totalling twelve medals. For the girls Megan King (13/14 years) led the way with Gold in the 200m Individual Medley and 100M Freestyle along with a Silver medal in the 50m Butterfly event. Amber Backhouse (13/14 years) collected medals for the second weekend in a row with Gold in the 50m Freestyle and Silver in the 50m Breaststroke whilst Eleanor King (15 years and over) took Gold in the 50m Butterfly event. The youngest competitor over the weekend and also taking Gold in the 100m Butterfly event was Mia Stillwell (9/10 years). The boys were also in the medals with Alex Stewart (15 years and over) taking silver in the 50m Freestyle and Butterfly events and Bronze in the 100m Butterfly and 200m Individual Medley. James Stirling (15 years and over) also in the same age category took Bronze in the 50m Freestyle event. A special mention goes to Tom Kral (15 years and over) who due to a technical error on entry was allocated to the wrong heats for all of his races but still managed to produce two new personal best performances over the weekend in the 200m Individual Medley and the 100m Freestyle. The Hampshire County Championships qualifiers have now been finalised for Seaclose Swimming Club and congratulations to the following for their qualification: Amber Backhouse, Lelayna Blacklock, Eleanor and Megan King, Abigail Lacey, Mia Stillwell, Michael Joyce, Tom Kral, Frank Morrison, Alex Stewart and James Stirling. Eleven Swimmers from Seaclose Swimming Club attended the Rushmoor Royals Level 3 Open meet at the Aldershot Garrison complex over the weekend of 5th and 6th Dec. With the meet being held in a 50m pool complex five of the swimmers had their first ever experience of racing in the Olympic size swimming pool. With the aim to gain Qualification times for the Hampshire County Championships in January, there was plenty of success for Seaclose with a total of eight medals being won over the weekend. Alex Stewart (15yrs and over) led the way with two gold medals (50m Free and 50m Fly) and a silver medal (100m free) which also included Hampshire Qualification times in all his events along with two new personal best (PB) times in the 50m and 100m Free events. 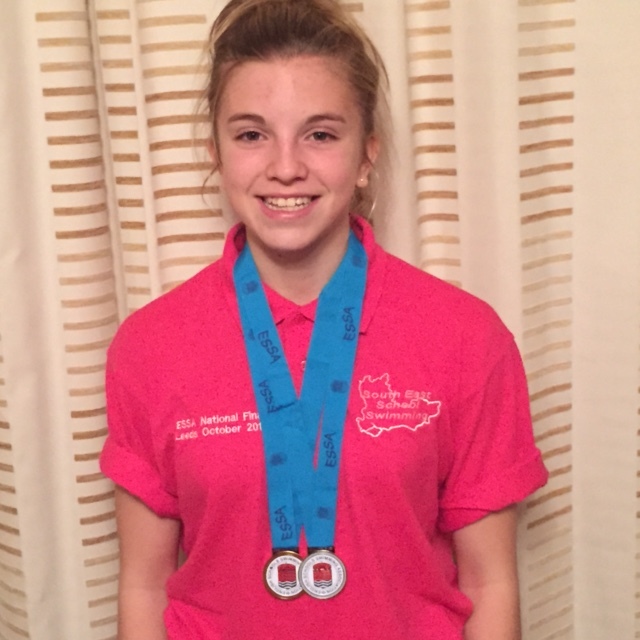 Amber Backhouse (14 yrs) also won two gold medals in the 50m and 100m Breaststroke, both within Hampshire qualification times and her 100m Breaststroke winning time of 1.24.27 sec was a new PB. Harvey Stillwell (14 years) took Silver in the 100m Butterfly in a new PB time of 1.26.51 sec and also achieved a further two new PB time’s. Lelayna Blacklock (15 yrs and over) took Bronze in the 200m Butterfly and there was also a Bronze medal and PB for Lottie van der Helstraete (11 yrs) in the 400m Individual Medley event. Mia Stillwell (10 yrs) continued her impressive form and gained three Hampshire Championships Consideration times whilst also producing PB times in four events. Also swimming PB’s at the event were Grace Bolland (11yrs) three new PB’s, Josh Begg (12 yrs) five new PB’s, Beth Elliott (15 yrs and over) four new PBs, Harry Elliott with a new PB in the 100 back whilst Tom Kral also swam very close to many of his personal best times. Seaclose Swimming Club now move onto the Level 3 Xmas meet next weekend at City of Southampton Swimming Club. Megan King swam at Guilford Open Meet this weekend as this was her last chance to achieve a qualifying time for the ASA Winter Nationals. Unfortunately, Sunday was not her day and she did not manage to knock off three hundredths of a second to gain her time. However, she did gain another personal best time in 50 free of 27.86 and a silver medal as a consolation prize. Not bad really. Megan is grateful for the support of the Talented Athlete Programme as this enables her to compete and train hard. Her next major competition is at Christmas in the Welsh Short Course Championships in Swansea. One of many competitions she will be doing on her path towards, hopefully securing her a place in the 2017 Island Games Swim Team heading off to Gotland. 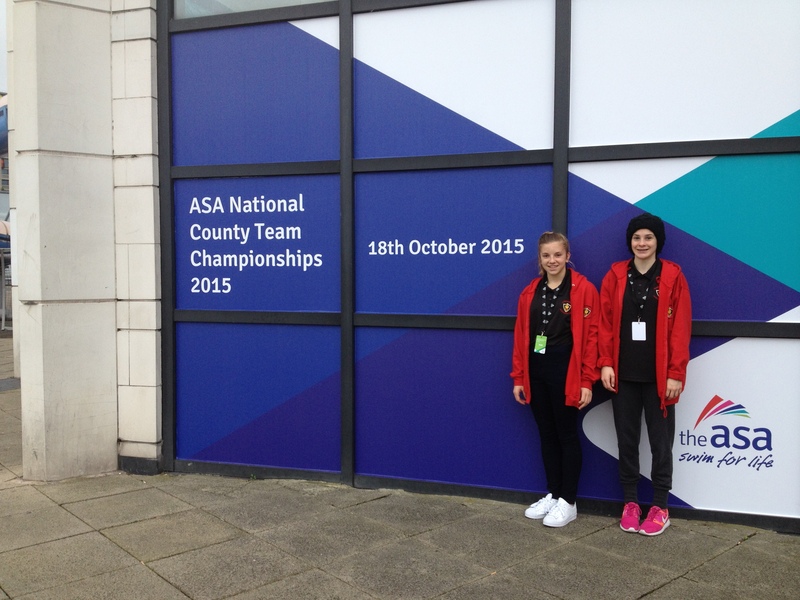 Medal success for Amber Backhouse as Abi and Megan represent Hampshire at County finals in Sheffield. 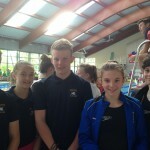 A team of six swimmers attended the Rushmoor Royals Autumn Open Meet over the weekend of the 17th and 18th of October. The meet was heavily over-subscribed and the competition was of a very high standard as swimmers push for regional and national times in the short course season finals. The Seaclose Team produced a fantastic 13 personal best times from the 25 races they entered and the only swimmer to collect a medal was Amber Backhouse who gained a bronze medal in the 13/14 years 50m breaststroke event in a time of 37.19 sec. The time was not only a personal best but also a consideration qualifying time for the South East Regional Winter Championships in November and to also add to this Amber achieved a further 3 personal best times over the weekend. Also in great form in the 9/10 years age group was Mia Stillwell who produced a fantastic 4 personal bests over the weekend. Mia took over 27 secs of her 400m freestyle time (6.26.31 sec), 5.33 sec of her 100 IM time (1.33.67 sec), 4.88sec off her 200IM time (3.17.62 sec) and a 1.70 sec improvement in her 50m breaststroke time (50.30 sec). Other personal best performances were Grace Bolland with two in the 100 and 200 freestyle, Lelayna Blacklock in the 200 back, Eleanor King in the 100IM and Alex Stewart in the 50m Freestyle. 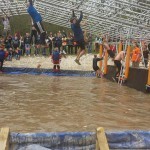 Full results can be found at http://swimresults.co.uk/results/114/events. Meanwhile Abigail Lacey and Megan King were selected to compete for Hampshire at the Inter-County Championships at Ponds Forge in Sheffield. The competition features top swimmers from across the UK and both girls did extremely well to help Hampshire finish 15th in Division 1 and ensure they will compete in the top division next year. Abi competed in the 100m Breaststroke event producing a new personal best of 1.17.91 sec to finish 13th overall in the 12/13 years category and then finished 8th overall in the 100m Freestyle and went onto produce a new PB of 28.69sec in both 50m freestyle legs of the relays. Megan competed in both relay events in the 14/15 years category and produced a top ten time in her age group whilst also producing a 27.44 sec in the final mixed relay of the day. Abi and Megan were two of four girls who were from the Isle of Wight competing at the Inter-County Championships with Grace Poynter competing for Devon as she is now at Plymouth Leander and also Lottie James competing for Dorset where her club Bournemouth Collegiate is based. All four girls will be looking to keep their form with the Island Games in 2017 a definite focus. 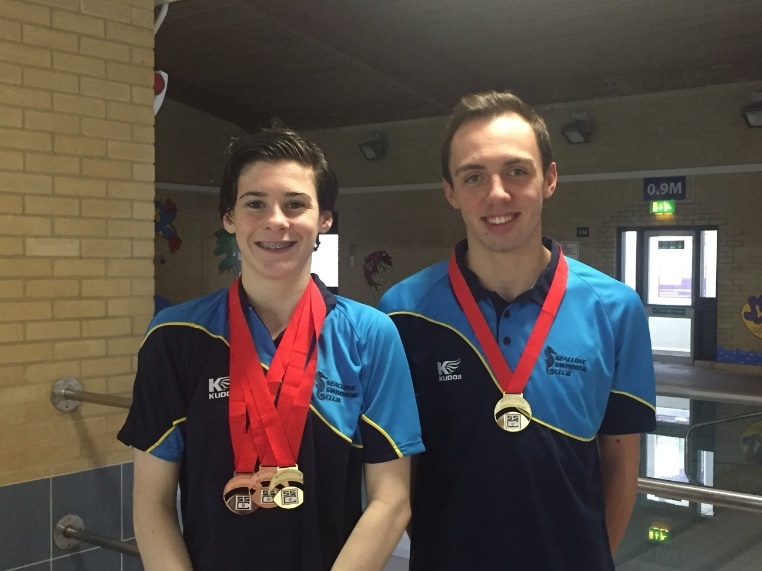 Alex Stewart and Megan King started the seasons medal tally for Seaclose swimming Club last weekend at the James Moreno Open Meet at Southampton. Alex picked up a gold medal in the 400m Freestyle event in a time of 4 min 28.65 sec and also finished fifth in the 50 and 100m freestyle events. Megan meanwhile captured Gold in the 50m Freestyle event in a time of 27.93 sec along with bronze medals in both the 50m and 100m backstroke events. There were also some well deserved personal best performances from Lelayna Blacklock, Grace Bolland, Eleanor King and James Stirling. Coach Val Gard said ‘this was a great start to what looks like being a great year’. Following a season of hard work in climbing up the National rankings Abigail Lacey was selected for the South East of England Schools Swimming Team and attended the English Schools National Championships in Leeds last weekend. Abi was selected to swim the 200m Backstroke, 200m Individual Medley and both the Medley and Freestyle relay teams in the junior section. On the first day of competition Abi, who attends Christ the King College, finished fourth in the 200m Back with a new personal best time of 2 min 28.00 sec and then anchored the medley relay team to a fourth position. However Abi’s medal success came on the second day of competition where she picked up a bronze medal in the 200m Individual Medley again in a new personal best time of 2 min 28.31 sec. Abi then lead off the 4 x 100m freestyle relay team with fellow swimmers from Kent and Oxfordshire who finished in a fantastic second to take the silver medal and along with a fantastic performance from all the South East Team helped the team take third overall. Abi who is a member at Seaclose Swimming Club will now join up with fellow club member Megan King as they have both been selected for the Hampshire team that will compete in the prestigious Inter-Counties competition at Ponds Forge in Sheffield on 18th October. As you will remember the fees for squad sessions changed from September 2015 and many members have yet to change them. Please can you do this ASAP and let us have the difference in fees for September and October (if paid so far this month) as the club has to cover the increased pool hire/ASA fees etc. County and Regional Call Ups for Seaclose Swimmers. A season of hard work in getting to the top of the rankings has been rewarded for Seaclose Swimmers Megan King and Abigail Lacey with selection for the Hampshire County Team. 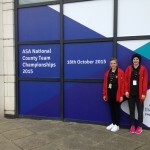 Both Megan and Abi have been selected in the Hampshire ASA team to compete at the prestigious Inter-County Championships at the Ponds Forge pool complex in Sheffield on Sunday 18th October. They will be part of a 24 member team and will compete in the top division of the inter-counties which will be screened live on the ASA website. Abigail has also been selected for the South East Schools Division team and will compete in the 200m back, 200IM and the relays at the English National Secondary schools final in Leeds on 3rd and 4th October. Good luck at both events girls, as Dave would say Go,Go,Go! In preparation for the National short course season we are offering the following level 2 open meets (more detailed calendar will be available shortly). Val will be taking entries for the following – transport to be arranged by parents. Please check qualifying times. Southampton James Moreno (www.cossc.org) meet 3/4th Oct – info available on the website the entries must be to me by the 1st Sept at the latest. Rusmoor Royals (www.rushmoorroyals.org.uk) open meet 17/18th Oct. Entries to me by the 17th Sept at the latest. Getting involved with your club…….Timekeeping courses As a thriving club we are looking to expand our resources and volunteers in order that we can keep running successful championships, club galas etc. Would any parents/relatives/friends of swimmers be interested in becoming a timkeeper? Our local HCASA co-ordinator will be running a course in August or September this year and we would like to be able to put forward a group to be trained as official timekeepers – not only would this help us at our own events we host, but when we send teams to the mainland we are often asked for officials. Also, as many are unaware of this fact, at some mainland open meets when a certain number of swimmers attend, one of the conditions is that we provide an official of sorts – a timekeeper will suffice for this purpose. This would be a great way for parents to be involved with their children’s competitive swimming – please contact either Ben Gard on chairman@seaclosesc.co.uk or Julie Van der Helstraete on clubsecretary@seaclosesc.co.uk and we can add your name to the list and provide details of what this involves. This course will be funded by the club in exchange for volunteering your time back. For 2015 we are running the club champs slightly differently. This is for a number of reasons including changes in the competition calendar at national level, reducing the burden on volunteers and officials and to look at ensuring the champs are sustainable in the future. The main differences are that the Champs will now run in July and will act as one of the last major event of the season. 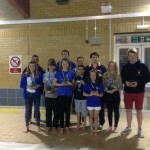 The champs will be run in confjunciton with West Wight Swimming club. This allows us to share pool time and officials. Swimmers will compete in shared heats but results will be for the individual club. Finally we have reviewed age groups so rather than the long distance events being run as Junior/Intermidiate/Senior age groups they will use the same age groups as the shorter distance events. Congratulations to Megan King who yesterday received her invitation to the British Summer National Championships at the end of July. Megan’s silver medal in the 50m Backstroke event at the Regional Championships in a time of 32.25 sec gave her a top 25 ranking in the event for her age group and she will join fellow Island swimmer Luke Herbert from West Wight at the season ending event in Sheffield. Good luck Megan. Great turn out for 2nd round of the Rother League. 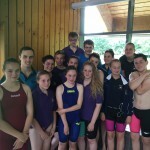 A huge team of swimmers turned out for the second round of the Rother League at Basingstoke on Saturday 7th June. This round was the relays round and there were some excellent performances on the night where Isle of Wight Swim Team finished fourth overall and also took an individual ward in the only individual event, the 100 IM for under 14 girls. Every swimmer can be proud of their performances on the night and the competition produced some very close racing especially considering that the age categories meant many of our swimmers were swimming up at least one year. Notable swims on the night that were worth an extra mention were the boys open team of Aiden, Alex, Michael and James who produced a fantastic time of 49.70 sec in the 4 x 1 freestyle relay, the U16 girls team of Beth, Abi M , Megan and Amber who were pipped on the touch into second place in the 4 x 1 Medley relay and Michael and Tom in the U16 2 x 2 breaststroke relay. In the only individual event of the night, the U 14 100 IM, Abi L took the girls title for the Isle of Wight in a new personal best time of 1.11.25 sec. Big thanks to Gav for the organisation and to the parents who also travelled and helped with the timekeeping and whipping on the night. 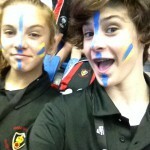 South East Regional Championships Success for Megan. Three weekends of regional swimming championships began at the K2 in Crawley last weekend with the Age Group Championships. With the new ASA rule changes qualifying has been much tougher this year and in order to gain qualification your times had to be ranked in the top 19 swimmers in the region. There were two swimmers from Isle of Wight Swim Team, Megan King and Abigail Lacey, and four swimmers from West Wight Swimming Club, Grace Poynter, Joseph Franks, Louis Herbert and Eric Tasca. Megan King was the only medallist from the weekend and swam a fantastic personal best in the 14 year olds 50m Backstroke in a time of 32.25sec to gain a silver medal in her first ever regional championships. Megan also made the final in the 50m Freestyle event finishing seventh overall and achieving a new personal best in the heats of 28.95 sec. Megan will hopefully be carrying this form through to the Island Games as she is the youngest selected member of the team. Also making finals and along the way gaining new personal bests were Joseph Franks and Louis Herbert in the 14 year old boys’ category. Both made the final of the 50m Butterfly and Louis pipped Joseph to record a new personal best time of 29.84 sec to finish sixth while Joseph finished seventh in a new personal best time of 29.91 sec. Louis also competed in the 100m Butterfly event finishing 12th in a new personal best time of 1.08.94sec whilst Joseph competed in the 50m Backstroke event and finished 18th. Also competing in the boys 14 year old category was Eric Tasca in the 50m Breaststroke who has had a fantastic season to qualify for his first ever South East Regional Championships and once again gained a personal best time of 36.44 sec to finish 14th overall. In the 13 years category both Grace Poynter and Abigail Lacey competed, with Abigail the busiest swimmer over the weekend. Abi made finals in the 200m freestyle, 50m Freestyle and 200m Backstroke events with her best finish 6th in the 50m Freestyle event in a new personal best time of 29.95 sec. Grace competed in the 50m, 100m and 200m breaststroke events with her best result being 11th in the 100m event. The championships continue next weekend at the Mountbatten centre in Portsmouth for the Relay and distance events and then return to Crawley the following weekend for the youth events. Coaches get a taste of their own Medicine. 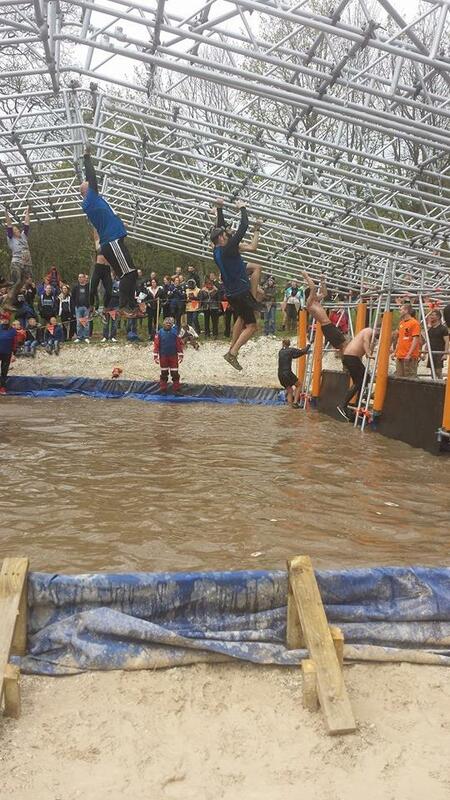 Congratulations to Gav and Ian on taking part in yet another Tough Mudder event at Henley-on Thames on Saturday. Taking a rest from putting the swimmers through their paces both of them took part in an event which is known for some very serious challenges and as you can see from the picture, it is more than just a few chin ups and a run round the field. As you can see the new ‘lighter weight’ Gav led the way, with Ian following on. 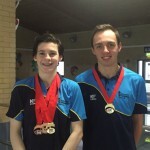 The 2015 Isle of Wight Swimming Championships concluded with the second and final weekend at Medina Leisure Centre with the 100m and 200m Freestyle and 100m Butterfly events. The Championships have been have been a huge success for both Seaclose and West Wight Swimming Clubs with 8 new championships records set and from 266 entries a total of 133 personal best performances. A further four records were broken this weekend with Abigail Lacey, 13, leading the way in 13-14 year age group and breaking both the 100m and 200m records. Abi broke Lottie James’ 2014 record in the 100m freestyle by recording a new record time of 1min 01.94 sec and to follow this she broke a 15 year old record in the 200m freestyle, previously held by K Eldridge , when she recorded a championship best time of 2 min 13.97 sec. This gave Abi three new records for the championship and tied her with Lottie James for the most records broken over the two weekends. Also in record breaking form were two West Wight Swimming Club Island Games Team Members, Sam Tinson-Wood and Annalise Jerram. Sam in the 19 and over section broke his own record from last year of 53.80 when he recorded a new 100m Freestyle record of 53.21 sec in the fastest time of the championships. Annalise had a very close race with her sister Bethany in the 100m Butterfly but pipped her on the touch to take gold and a new championship time of 1.09.47 sec in the 19 year and over category, previously held by Rosie Gard. There were many outstanding performances over the two weekends but special mentions should go to Mia Stillwell of Seaclose Swimming Club who in the 10 year old category took all six gold medals available as did James Stirling of Seaclose Swimming Club in the 17-18 years category. 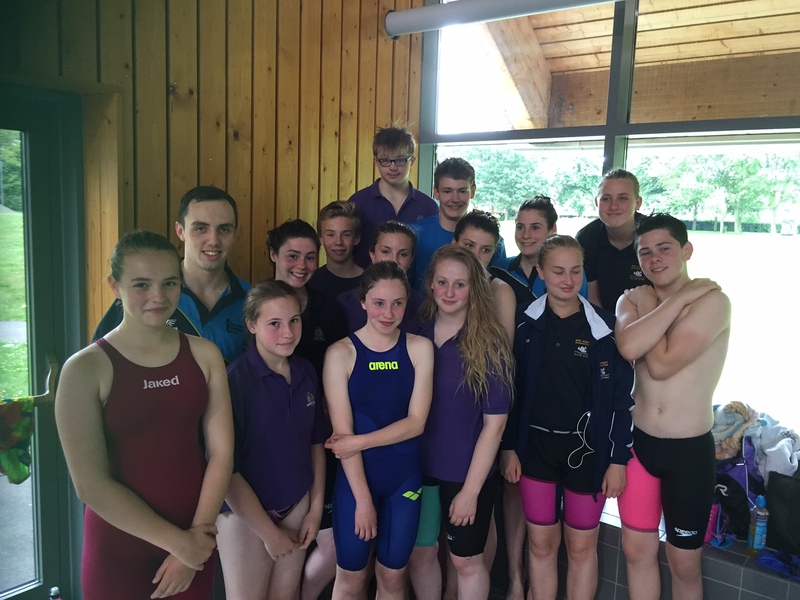 The swimmers now move onto the South East Regional championships which start May 15th and the Island Games squad members continue their training for the event in Jersey at the end of June. The 2015 Isle of Wight Swimming Championships started this weekend at Medina Leisure Centre with the 100m backstroke, 200m Individual Medley (IM) and 100m Breaststroke events. The Championships have been brought forward from July to April to comply with the new ASA calendar changes. The swimmers at the event achieved 82 personal best swims and at a time of year when many have had a break for the Easter holidays. The change of date made no difference to Lottie James, as she excelled on the night to produce three new Isle of Wight records in the 15/16 year old category. The Seaclose Swimming Club and Island Games squad member broke three records that all stood from 2000. Two of the records were originally held by Elizabeth Kreuz and Lottie bettered her 100m Backstroke time by 0.54 sec recording a new record time of 1min 06.66 sec and also beating her 200m IM record by 0.20 sec when recording the new record of 2 min 27.76 sec. Lottie completed her record haul by beating R Huntleys 100m breaststroke record (1min 16.22 sec) by recording a new time of 1 min 15.84 sec. Also in record breaking mood was Abigail Lacey (Seaclose Swimming Club) in the 13/14 year old category. Abi broke Lottie James record in the 200 IM, which was set in 2014 in a time of 2 min 32.14 sec, with a new record time of 2 min 31.88 sec. Abi also achieved two further personal best times to win gold in the 100m backstroke and silver in the 100m breaststroke events. There were three swimmers, other than Lottie, who also achieved Gold medals in all three events. Mia Stillwell (Seaclose Swimming Club) in the 10 years category swam three new personal bests in gaining her three gold medals. James Stirling (Seaclose Swimming Club) in the 15/16 years age group and Ella Hillier (West Wight Swimming Club) in the 19 yrs and over category also gained a clean sweep of gold medals on the night. The Championships conclude next weekend at Medina Leisure Centre with the 100m and 200m Freestyle events and also the 100m Butterfly. Zac’s Success achieves invite to GB Squad. 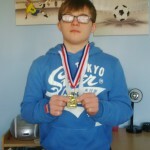 Zac Lacey 14, competed at The Down Syndrome European Swimming Championships at The Quays in Southampton over the weekend of 28th and 29th of March. The event had representatives from Scotland, Ireland, Estonia, Spain, Sweden, Russia and Brazil. The Isle of Swim Team Member had a very successful weekend swimming in five individual events and also competing in the relay event. Zac can now say he is European Champion at the 25m Backstroke event when he produced the fastest time of the day for the event in a new personal best time of 21.22 sec. Zac then went onto produce a personal best in the 100m individual medley (1 min 50.41 sec). Zac was also selected to swim in the England junior relay team (200m freestyle relay) which did extremely well as the only under 16 team to make the final and the four swimmers did exceptionally well to finish fifth against more established international teams. 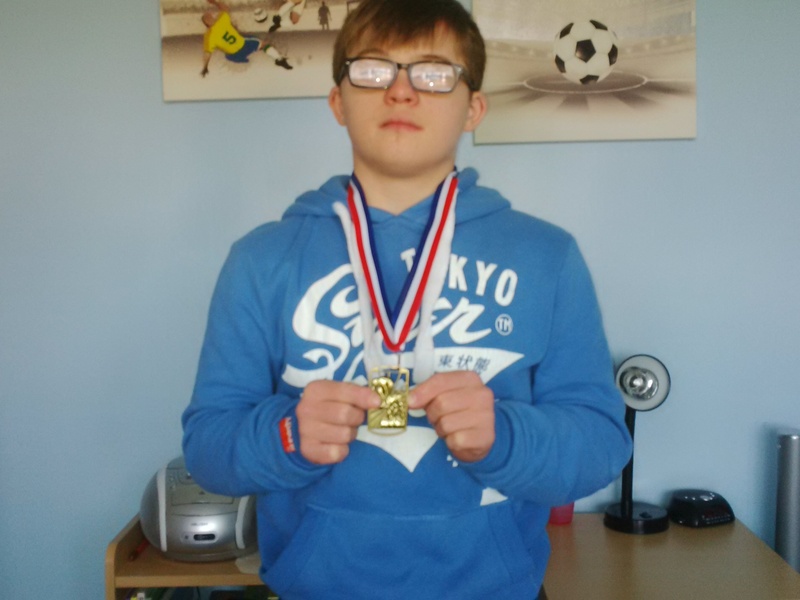 Zac’s performance over the weekend was recognised by the Great Britain Down Syndrome Swimming Team coach and Zac has been invited to attend a Great Britain Training Camp in Batley, Yorkshire at the end of April which will hopefully be the start of bigger things to come.